Moving house or flat in the Clapham area? Need help? Casey’s Removals are Packers & Movers that deliver a local, friendly and professional moving service within Clapham London and nearby areas. So if you are looking for a moving company nearby with a view to your home move or relocation, we can help. Whether you’re moving locally or abroad to Europe or further afield, our professional movers can assist you. Our experienced team, from office staff to operational staff, are able to help you make the whole process as effortless as possible. You can rely upon us to undertake a well-managed, stress-free move. Not only do we offer a moving service, we also provide complimentary services such as safe and secure storage, disposal/recycling services and packing services. We recognise that moving home, can be a stressful challenge. That’s exactly why our staff at Casey’s Removals are here to help you! We believe that our consistently high levels of service will leave you delighted with your move and choice of mover. We have always stressed to customers exactly how important it is to get an accurate quote so we know how much resources will be required, i.e. size of moving truck and number of men. That is why it is best for an estimator to visit your home in order to precisely check all your requirements. This is a free service which also presents you the opportunity to meet us and for you to know who will be handling your valuable items. Please feel free to call the below telephone number to schedule our estimator to visit. You have nothing to lose other than 20 minutes of your time. Caseys were absolutely brilliant, professional, polite and did a fantastic job packing up the house and moving us. What could be a very stressful time they made seamless. We highly recommend them. The entire team worked non stop and were thorough and careful , all delicate and valuable items were well wrapped and packed and taken care of. Everyone was very friendly , from the office staff to the removal team. Clapham Moving House Packing Services. Together with our comprehensive moving solutions, Casey’s also supply packing services for all home and residential moves. Our professional and courteous house movers are available to professionally pack all your home contents. We are experienced in the art of packing delicate objects like glassware, ornaments and electrical equipment, making use of the best packing materials to ensure safety en route. Since we provide no-cost goods-in-transit (subject to terms & conditions) insurance on all home moves, you can rest assured that your possessions are fully protected. However, in the event that you wish to do your own packing we can supply you with the best quality moving boxes and packing materials ( packaging tape, bubble wrap as well as packing paper/tissue). Short and long-term storage work for a variety of reasons and are part of our full range of moving services. Short-term storage is exactly what it says – This can be any period from overnight storage to around 3 months. It is used extensively by customers with short intervals between moving out of one property and into another. Another popular use is where redecoration or renovations are being done. There is nothing worse than living in a house full of dust and dirt for weeks on end! Long-term storage is used by many customers where extensive renovations are being undertaken over an extended period. Others use long term storage where they are either working overseas for a period of time or travelling the globe for months (or even years). If you are downsizing yet don’t want to get rid of certain items then long term storage is a viable solution. Our rates for this type of storage can be negotiated depending on the length of time you require for storage. We know exactly how nerve wracking moving can be – permit our professionals make it a problem-free experience as possible. 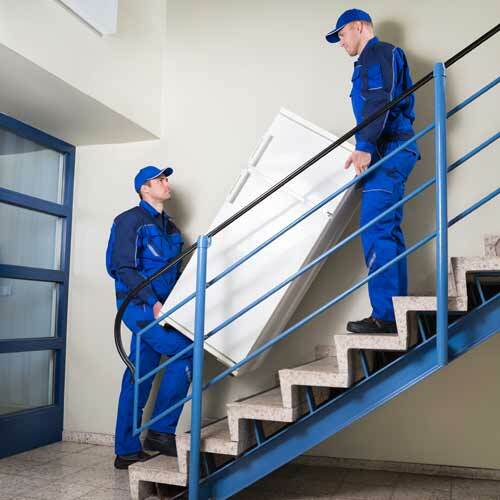 We are a full service company with an excellent reputation so you can be confident of a high level of service at all times. Our specialist team are always here to respond to all of your concerns – from quotation right through to the move and post move. To learn more about Clapham removals go here.